The Gulfmaster watch by the Casio G-SHOCK series is designed and engineered with the maritime adventurer in mind. Features include Triple Sensor Version 3 and Smart Access in the same watch, barometric pressure, altitude, bearing, and temperature readings. This impressive LCD display timepiece is also fitted with alarm, Tide Graph and Moon Age capabilities. 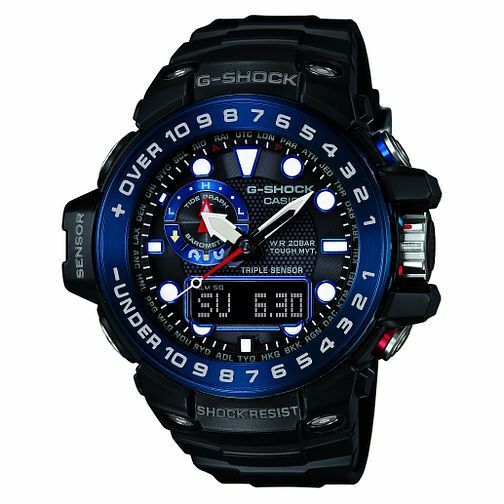 Casio G-Shock Gulfmaster men's ion-plated bracelet watch is rated 3.5 out of 5 by 2.